Home Subjects Mathematics Year 6 girls testing their knowledge of angles. Year 6 girls testing their knowledge of angles. After learning how to measure angles using a protractor, the Year 6 girls tested their knowledge by having fun finding angles in groups. They also had to label and name the angles. 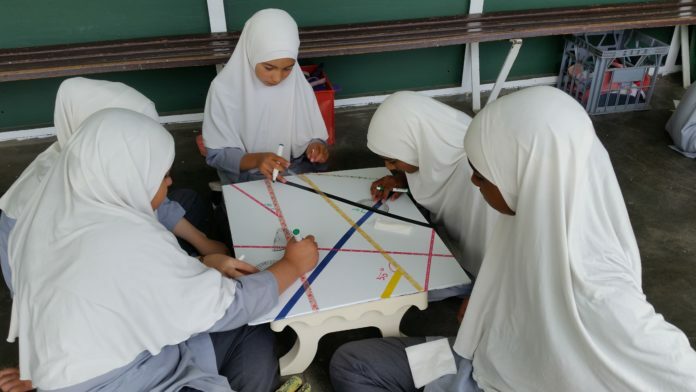 Once they had completed the activity, the groups exchanged boards and had to check whether the angles were measured accurately by the other group. Sr Hawa. Next articleYear 3 girls using Arabic letter connectors. Al-Hidayah Islamic School provides high quality Islamic Studies and Government Curriculum in a friendly Islamic environment.